Certain buildings or homes can be sensitive to cleaning due to the nature of the material. Mold and mildew grows into the porous surface, requiring a combination of pressure and cleaning solutions to successfully clean. 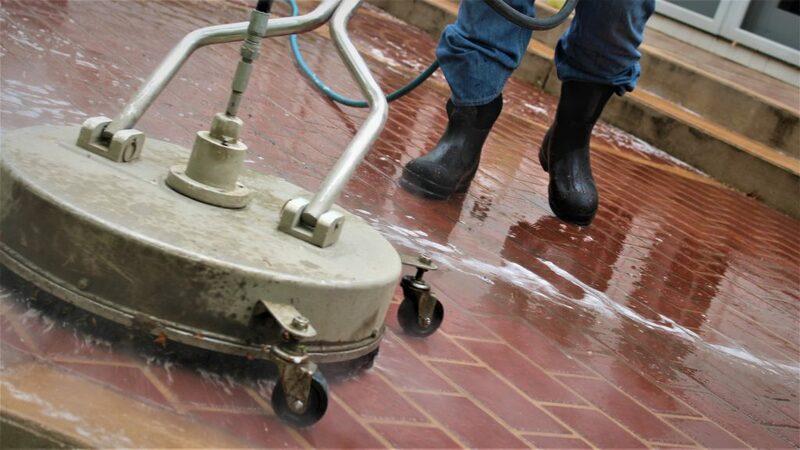 Brick, particularly painted brick, can present difficulties for a cleaning crew due to the delicate nature of trying to clean a painted surface. Paints can chip when water pressure is applied, or can react poorly with a cleaning solution, Special care is taken to ensure that the cleaning method is safe for the brick. Removing mold and mildew helps offset natural decay and restores the surface to its original luster. Limestone is a sensitive hard surface that can be damaged with high pressure. 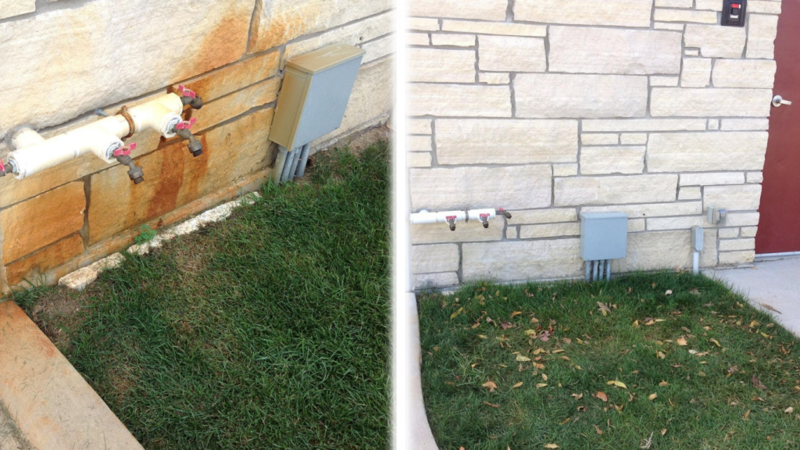 Agent Clean offers soft washing restoration services as well as rust and efflorescence removal. Give us a call for a free estimate. 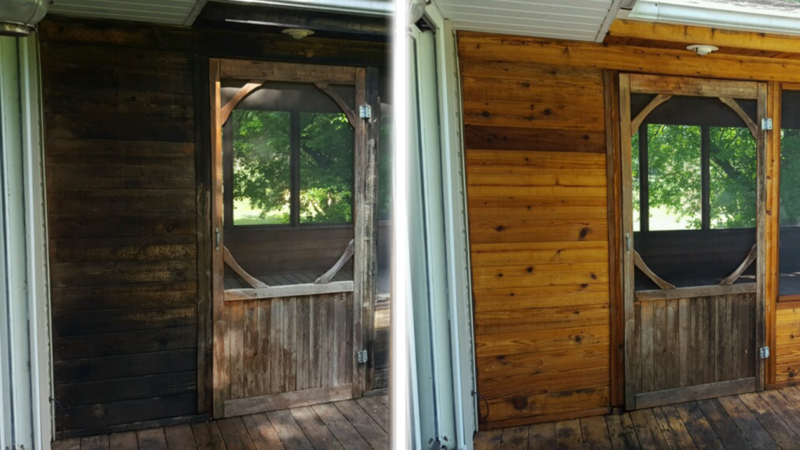 Wooden decks are succeptable to mold and mildew growth after any wood seals have worn off. Green and black colored mold is easily seen when it grows into the wood, and over time it can become very difficult to treat and clean as the mold penetrates deep into the wood grain. Agent Clean uses a low pressure method to treat the mold, using a cleaning solution and low pressure with strategic hard pressure to bring the wood back to its original color. We then advocate a stain and seal to help prevent regrowth.